11.0 x 14.0" 11.0 x 17.0" 13.0 x 19.0" 5.0 x 7.0" 8.0 x 10.0" 8.5 x 11.0"
Present your portfolio or store your work in the Black Proof Box for 8.0 x 10.0" Prints from Archival Methods . The rigid design provides impact resistance while the tight fitting lid keeps out dust and dirt. 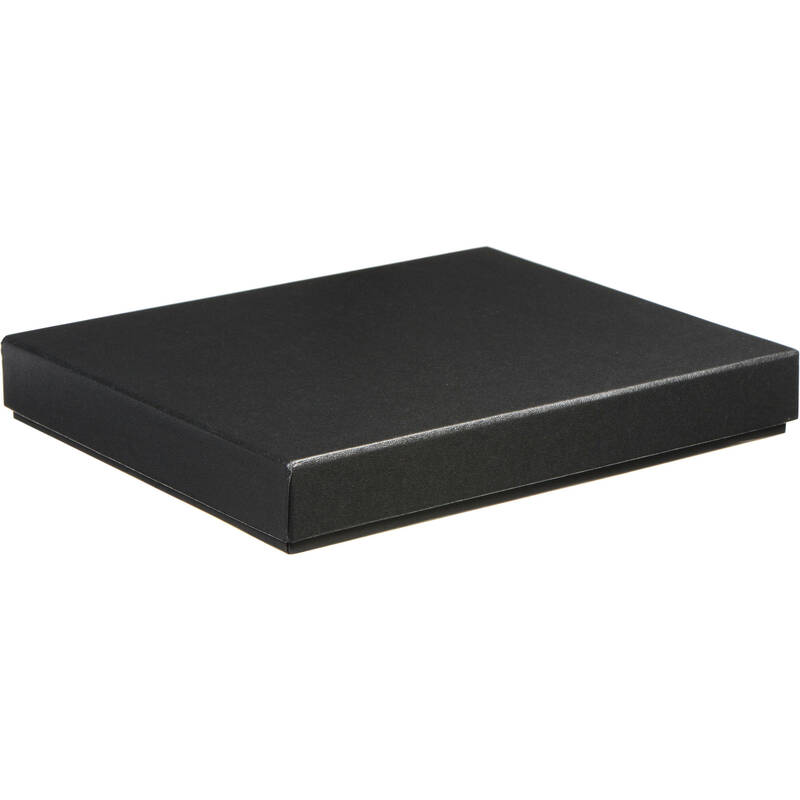 This precision box features a two-piece design with black paper lining and a black acrylic coated exterior. Note: The Black Proof Box is intended for storing proofs and is not meant for generational storage of images. The materials used to construct this box have not been submitted for formalized archival tests. Box Dimensions (LxWxH) 11.05 x 8.8 x 1.55"